A suspicious package addressed to CNN’s office in Atlanta was intercepted on Monday, the network said, adding that all of its mail is being screened off-site. The Atlanta package is “similar in appearance to the others” that were addressed to CNN, the FBI said shortly after noon on Monday. Packages linked to Sayoc have used the address of Rep. Debbie Wasserman Schultz’s office in South Florida as their return address. 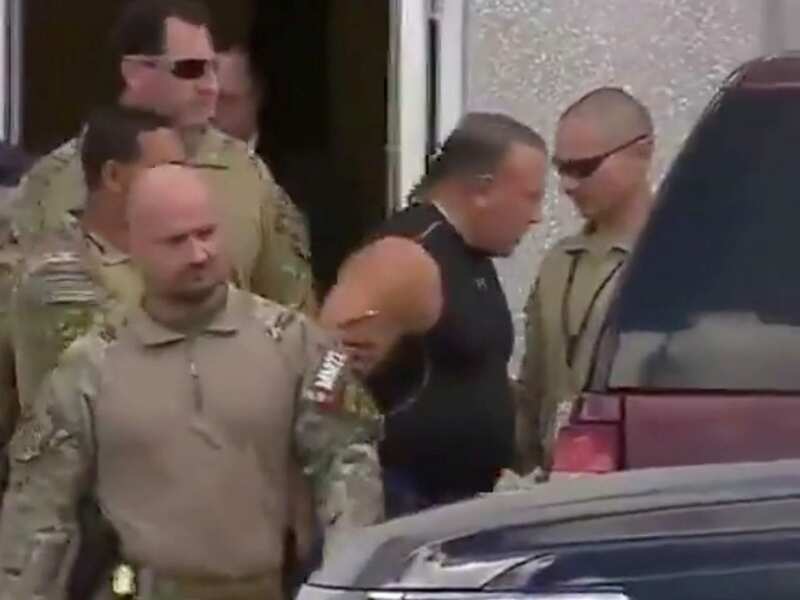 Despite Sayoc’s arrest, the authorities have warned that there may be other packages still working their way through the postal system. Sayoc, 56, is due to appear in federal court in Florida Monday afternoon for a hearing. Prosecutors are expected to try to move his case to New York, where most of the packages were discovered. The latest package was stopped at an Atlanta post office before it reached CNN, according to the news network’s president, Jeff Zucker. “There is no imminent danger to CNN Center,” Zucker said, in a statement about the package. He added that CNN’s screening process is working. “All mail, at all CNN domestic bureaus, is being screened at off-site facilities as of last Wednesday, so this package would NOT have come directly to the CNN Center, even if it hadn’t been intercepted first,” Zucker said. Sayoc was identified in part from a latent fingerprint on one of the packages. The FBI says DNA evidence from at least two of the packages also points to him as the suspect. Several of the packages passed through the U.S. Postal Service’s Royal Palm Mail Processing Center in Opa-Locka, Fla. — a center that routes mail and packages sent from Miami-Dade County, where Sayoc was living at the time of his arrest. Sayoc now faces charges that range from transporting explosives across state lines and illegally mailing explosives to threatening former presidents, threatening interstate communications and assaulting officers of the federal government.